Lens Flare is a collection of poems – the first, as far as I can tell – written by a theatre director more accustomed to staging Chekhov in New York or Verdi in Denmark than to publishing poems in Australian journals. I opened the book expecting to find that slightly off-key poetry written by accomplished practitioners of an allied practice – this could also be song-writing, fiction, even painting – whose singular depth of involvement is unquestioned, but is not in poetry. Instead I found this . . . the poems are precise and unforced. 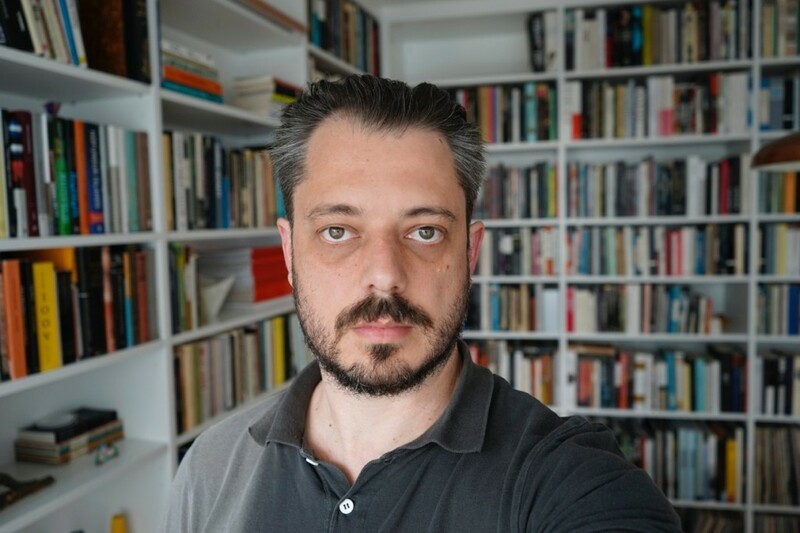 His poetry is serious (but seldom tonally heavy) and cleanly crafted – even crisp in its linguistic texture, with hardly a word or line that feels unnecessary . . . I suspect the dramatist in Andrews enjoys this heightening of voice across shifting entrances (and exits) while maintaining a mild narrative. Most poets do. Good. Andrews may be much in-demand as a stage director but he is also an excellent poet, and his skills might embarrass many poets who have spent decades doing little else. Lens Flare won the 2016 Mary Gilmore Award for the best poetry collection published in Australia in the previous two years. Judges citation: This tightly crafted and expansive collection can be both humorous and poignant, revealing a highly attuned poetic sense of place, memory and relationship, and sometimes the wickedness of wording the world. Andrews’ verse, set across the emotional and physical terrains of Iceland and Australia, is spare and strong; possessing a dramatic, filmic quality that delights in its visual power, as well as the cadences of its language. The poet’s lens flares – illuminating and obscuring – and the reader is drawn into an intense and sensual world. Benedict Andrews is an Australian theatre and opera director, now resident in Iceland. His directing work has won and been nominated for various awards including Olivier Awards, London Critics’ Circle Awards, Iceland’s Gríman Awards and Australia’s Helpmann Awards. Benedict’s adaptations for the stage include The Maids (with Andrew Upton), The War of the Roses (with Tom Wright), Life is a Dream (with Beatrix Christian), and his own versions of Chekhov’s The Seagull and Three Sisters. Benedict directed A Streetcar Named Desire at the Young Vic theatre, London, in July 2014 and La Bohème at the Dutch National Opera in December 2014. His first feature film Una had its world premiere at the 43rd Telluride Film Festival in September 2016. The peripatetic life of an international theatre director offers plenty of down time a long way from home. 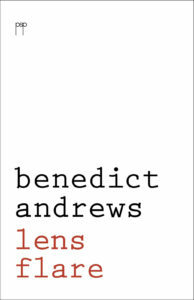 Benedict Andrews devotes this more often than not to his poetry, which has been unpublished up until now. Lens Flare (2015) his first poetry collection, won the 2016 Mary Gilmore Prize for the best first collection of poetry published in Australia .